Go On An Eco-Tourism Adventure With Amahoro Tours! Welcome back to Amahoro Tours’ blog! Here, we will discuss how our eco-tourism projects in Rwanda, Congo, and Uganda are revolutionizing the tourism industry with community integration and environmental responsibility. Africa is one of the most beautiful continents in the world and is home to delicate ecosystems that deserve to be protected. Join our mission today and we’ll take you on an educational eco-tour of Africa’s most beautiful safaris, wildlife, and local communities! As conservationists, all of the tours we lead are aimed at integrating tourists with the local community while teaching them about environmental conservation and wildlife protection. We do this by engaging tourists, students, educators, and other groups in unconventional tour activities that allow them to truly appreciate the culture and natural environment of these African countries. On these tours, you can expect to participate in wildlife photography, village walks, safari hikes, poetry reading, and other culturally-rich activities that will familiarize you with the locals’ history and way of life. It is our hope that these integrative activities will change the way people view tourism and will help lead the shift from observing to engaging. In addition to cultural integration and community involvement, our mission is to lead the tourism industry in the right direction by sharing our research with tourists and sparking their passion for sustainability and environmental protection. Whether this means coming across an endangered wildlife species and discussing how humans can aid in its protection or educating tourists about rich rainforest ecosystems and their intertwining parts, we believe that there is always room for greater environmental education. At the end of the day, our tour guides are satisfied knowing that they led a fun and fascinating eco-tour that helped change the public’s perception of African culture, wildlife, and ecosystems. We believe that the key to achieving sustainability and environmental conservation is education, and we take it to a whole new level of fun with our eco-tourism adventures. 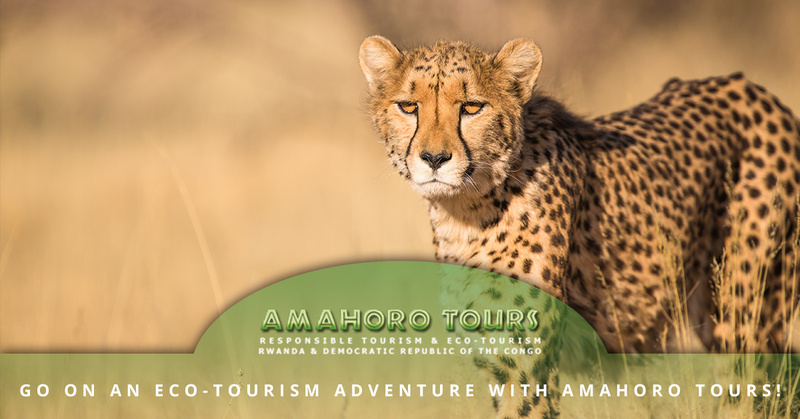 Amahoro Tours is proud to lead eco-tours through some of the most beautiful and culturally-rich parts of Africa, including Rwanda, Congo, and Uganda. Each of these tours serves a different purpose, from getting to know the locals in Rwanda to exploring the African safari to seeing gorillas and other iconic African wildlife. Our guides are proud to offer more than the standard gorilla tours you’ll find with other tourism companies; each and every one of our tours caters to your group’s areas of interest and comes with a plethora of sustainability teachings. Rwanda, Congo, and Uganda are each home to a unique culture and rich ecosystems. Our Rwanda eco-tours include domestic tourism options, safari and rainforest explorations, gorilla tours, and opportunities to engage with the locals through cultural and historical practices. If you love learning about wildlife conservation, our multi-day gorilla tours through Uganda and the Congo are the perfect trip for those looking to hike through natural habitats like the safari, national parks, and the Nile River. Our tours are individually crafted to provide unique experiences for anyone who is interested in African culture, wildlife, or ecosystems, and they range from one to 11 days with overnight group campouts. Your trip to Africa is about to get much more interesting, adventurous, and fun! With Amahoro Tours, your days will be filled with unique cultural experiences and invaluable teachings about sustainability and environmental conservation. Our tours cater to the interests of our guests, as we take them on multi-day adventures through some of the most beautiful parts of the continent. Check out all our tours online and contact us to book your eco-tour through Rwanda, Congo, or Uganda today!